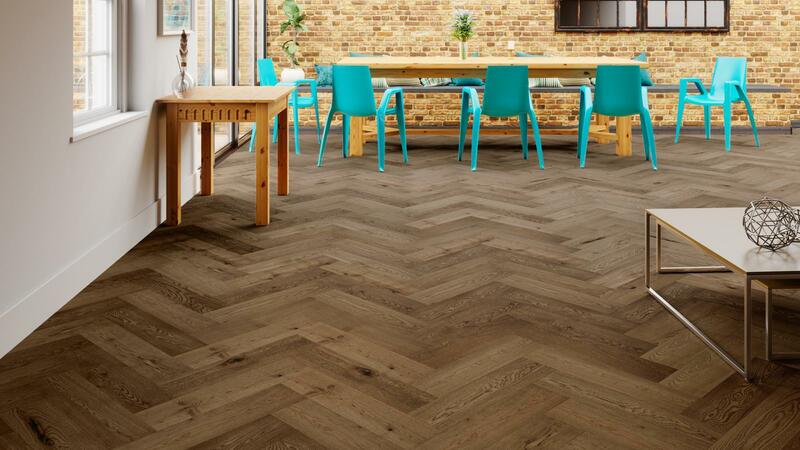 Give your home an aged feel with Natura oak smoked herringbone engineered wood flooring. 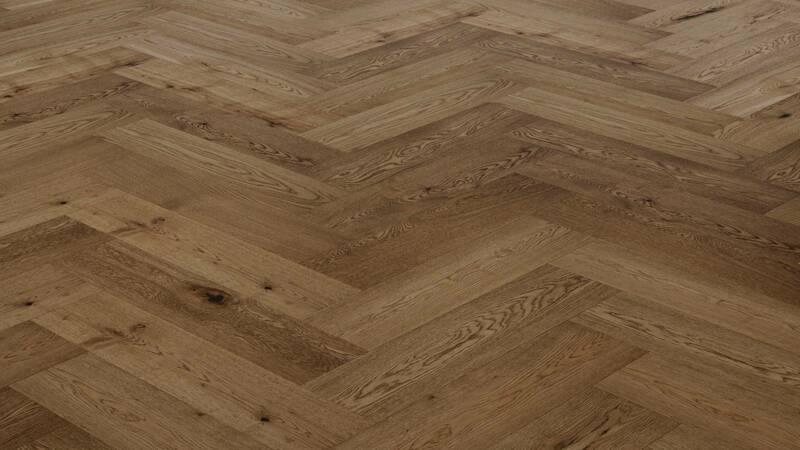 This great value herringbone oak floor has a brushed natural oil to provide a lasting finish. An added feature of this floor is the locking system, it can be used as a floating floor instead of being stuck down, making installation a whole lot easier. Feel free to read our guide to fitting an engineered parquet wood floor. Floor looks gorgeous, good quality, and has wow factor. Quite large format so works really well in larger spaces where you can make the most of the pattern. Our fitter (organised by flooringsupplies) glued each piece together to prevent creaking which apparently herringbone floors can be prone to, and that seems to have worked perfectly. Very happy, would recommend! We ordered the oak smoked herringbone wooden floor and had it fitted by one of the fitters that flooring supplies organise. The floor is beautiful and really makes a statement, it was delivered the next day, and the fitter, Sean, was excellent. This is now the second time we've used them and Sean and have been extremely impressed. We're so pleased with this flooring! It looks amazing and as good as the example image! The only thing to note is that you really need to allow 20% extra for wastage, we had it fitted professionally and didn't have enough based on the 10% extra we allowed. 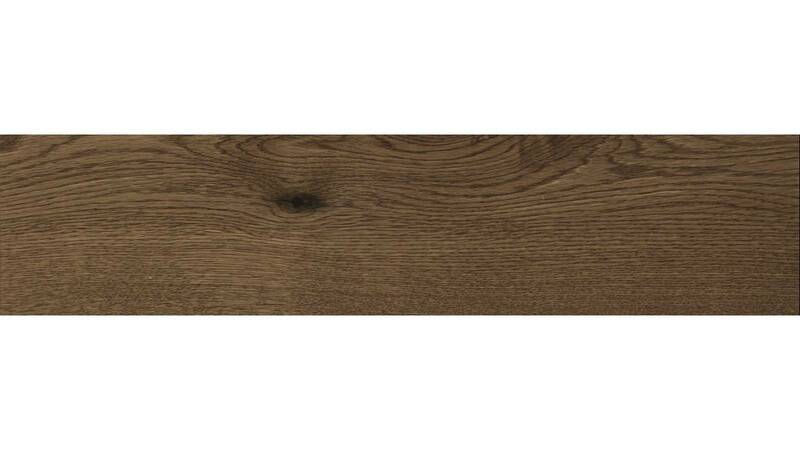 How thick is the oak veneer / top layer of oak on the Natura Oak smoked Herringbone engineered Parquet? Hi Sara, The veneer layer is 3.2mm. does this floor require a further coating of oil once laid? Can you use a steam mop on it? Is this flooring treated? In the description it says it "has a brushed natural oil to provide a lasting finish" and the pictures certainly make it look that way, but the sample I received looks duller, like it's been untreated. Is the sample an untreated version? Morning The flooring (and sample) have a oiled finish which is naturally matt in finish so therefore the appearance. This is the same for all natural oiled floors so no different really if you've research a few. Thanks for previous answer. Is there a brand of danish oil you recommend for quality? Also - there is a lot of dust on the floor - sawdust and probably some plaster dust from the building works which are now upstairs. What would you recommend using to get rid of that before I apply oil ? Thanks for help. Good Afternoon After talking with the manufacturers they recommended these guys: https://cdn.shopify.com/s/files/1/0757/3679/files/RMC_brochure.pdf?17450493949629684256 Hopefully this helps. Can I use danish oil to treat this floor? If not - what would you recommend? Good Morning Yes in principle but there are many types of danish oil on the market. So we recommend doing a test before applying it over the whole floor to test its the right colour for you and its compatible. If you haven't any flooring left over or an area hidden to do this test we can send you a sample if that helps? In the second photo, the one with the furniture in it, the blocks look large and different to the first picture, are these the same blocks? If not where do I get those in the second photo from? Afternoon Nick I think its all to do with the perspective of the photos as this is the same product. we don't have a darker product in stock today but next week we are receiving 6 more of the parquet engineered products, with dark variations so watch this space! Sorry for this and good spot. This product is an oiled floor I'll make sure the description is change without delay. Can it be used in a kitchen? Can it be used with under floor heating? Yes it can. This is one of the unique selling points of this product as traditional parquet blocks aren't.